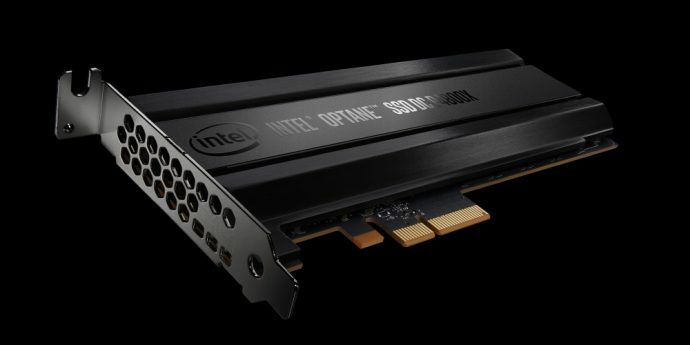 Intel has taken the wraps off its very first Optane solid state storage (SSD) product using its new 3D XPoint memory technology. Called the Optane SSD DC P4800X, it provides blazing fast server storage. It claims of completing database connections up to 10 times faster than usual NAND Flash memory products. This increases scale per server and also accelerate applications. Intel Optane SSD DC P4800X Series will drive new solutions with applications such as artificial intelligence and machine learning, faster trading, and deeper insights into medical scans. It expands the reach of cloud computing solutions. But, that’s not all. The Optane SSD DC P4800X Series product is also capable of being employed as a memory extender. Coupled with Intel Memory Drive Technology, the SSD can be used in a memory pool along with a DRAM without the need for making adjustments to the computer’s OS or apps. This method integrates the drive into the memory subsystem and presents the SSD in the form of DRAM to the OS and apps. As for 3D XPoint, it is a non-volatile memory technology developed in collaboration between Intel and Micron back in mid-2015. The exact specifications of how the memory works haven’t been made clear by the chipmaker. But, it is known to be based on some kind of change in bulk resistance to record data. The performance of the said memory product is described to be better than NAND Flash. It is also said to be half the price of DRAM, but 4-5 times that of NAND Flash. The official release mentions that the Optane is available as a 375GB SSD on a PCIe card for early customers, who’re ready to shell out $1520 right away. But, Intel adds that the said storage product will be widely available in two variants – one with a PCIe card and other with a U.2 stick, by the second half of this year. Both of these will come with two memory options, i.e 750GB and 1.5TB. There will also be 375GB SSD released in the U.2 form factor.